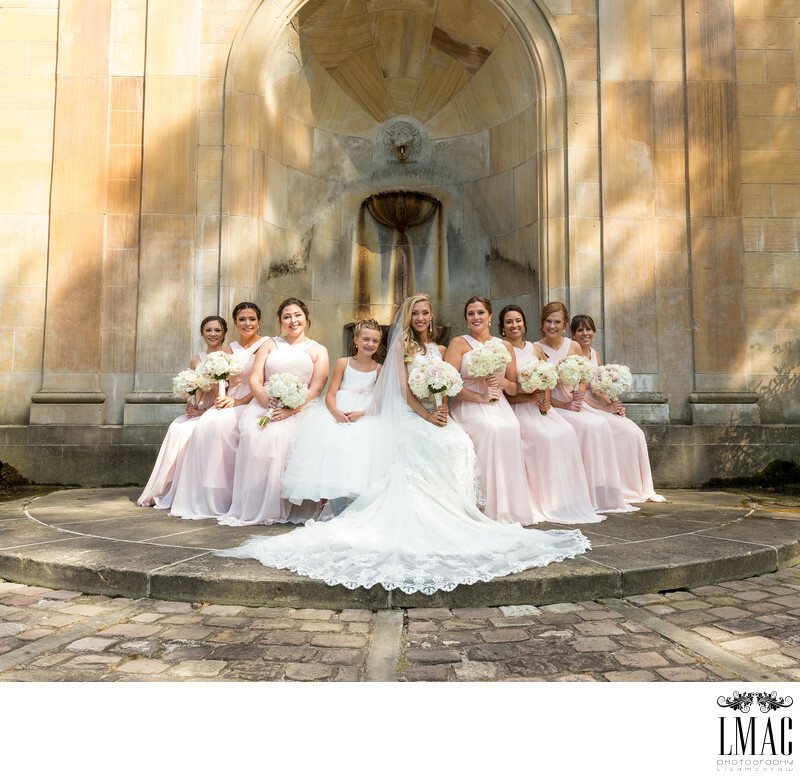 This beautiful bride and groom selected the Cleveland Cultural Gardens as the location for their wedding photography. The Cleveland Cultural Gardens are an extremely popular wedding and engagement photo location. Each garden is themed after different countries. This particular photo was photographed at the Italian Garden. During the summer, many many bridal parties can be seen photographing their images at this location. Also close to this location is Case Western Reserve, The Cleveland Art Museum, and the Cleveland Historical Society. Portraits are an important part of wedding photography. Every bride wants beautiful photos with all of their bridesmaids. LMAC Photography's style is classic photography with a fashion photo edge, perfect for bridesmaids photos. Location: 750 E 88th St, Cleveland, OH 44108.